International mega events and venues consultant Trivandi today announced that it has opened its Middle East office in Dubai in DMCC (Dubai Multi Commodities Centre). 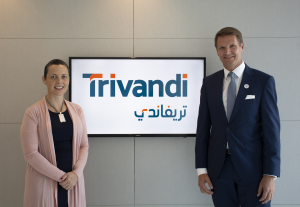 With over 35 assignments in 18 countries in their first five years of operations, Trivandi decided to expand their presence to Dubai to gain access to their target markets in the Middle East and Asia. James Bulley will assume responsibility for the office as Trivandi’s Global Cheif Executive Officer. Industry leading Venue Operations director, Nick Davion, will head up the Middle East office. 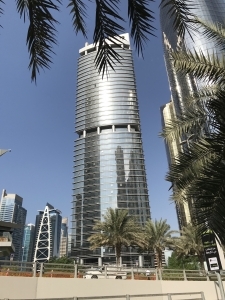 The new office will be located in the Platinum Tower in Jumeirah Lakes Towers (JLT). “The world of mega events and new venues is tipping towards the Middle East and Asia and we have many assignments we are working on there. Trivandi is responding with a new base in Dubai which is a great choice of location due to its proximity to our clients’ projects and its excellent connectivity,” said James Bulley, Chief Executive Officer at Trivandi. “Nick is a superstar in the events and venues world. He played a major role in London 2012, Glasgow 2014 and Ashgabat 2017. We were looking for an exceptional leader to build the team in Dubai and Nick was an obvious choice,” Bulley added. Commenting on the announcement, Krysta Fox, Executive Director – Free Zone, DMCC, said: “We are excited to be welcoming Trivandi to DMCC’s thirving and vibrant free zone community. Having a mega events consultant such as Trivandi in the Emirate will further contribute to establishing Dubai as a business event destination. We hope to see more event companies set up in DMCC free zone, and benefit from our connectivity, our network of over 15,000 member companies and our unique and innovative services”. Born out of the senior venues team of London 2012, Trivandi has worked on projects for the Rio Olympic Games in 2016 and Tokyo 2020 as well as the Commonwealth Games in Glasgow and the recent successful Birmingham 2022 bid. It has worked on projects across sport including the Tour de France, Super Bowl and America’s Cup; as well as major infrastructure projects such as the Eden Project, Twickenham Stadium and Expo 2020 in Dubai. Trivandi’s expertise ranges from venue project management to event planning and operation for global mega events.